Invest Openly: Are You Playing Trick Or Treat With Your Investment? 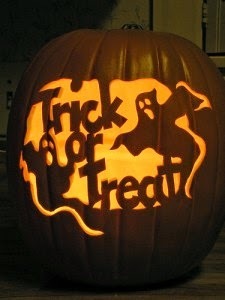 Are You Playing Trick Or Treat With Your Investment? Halloween is just around the corner, are you getting yourself ready to enjoy the spooky night party or trick-or-treat game by the kiddos? Personally, I am not that into this Ang Moh ghost festival but don't mind watching one or two horror/ghost movie(s) during this festive season. Do I get a candy?